Net Viewer is an Internet Utility Program that saves your Web Site Addresses and E-Mail in a highly organized, secure Database. Thousands of Web Sites can be collected using the automatic save while browsing, and easily retrieved with Search and Database Query Functions. 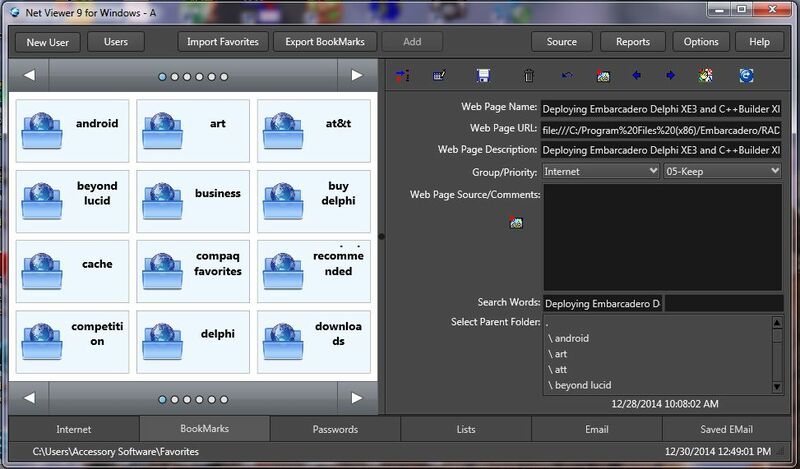 Favorites can be imported to the database from Microsoft Internet Explorer, Google Chrome, Mozilla, etc. Any number of lists can be made for fast viewing of Web Sites, and run on a timer. 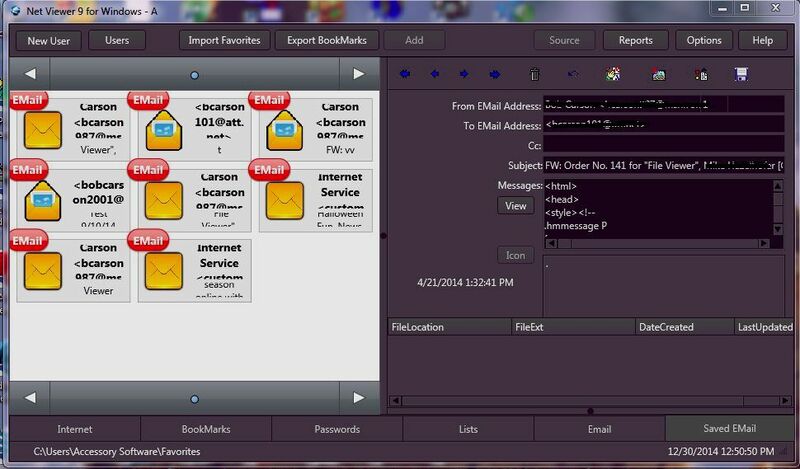 E-Mail can be received and sent with attachments and saved in the database. Use any number of Browsers to collect URLs. Rated 5 - by 5 Star Shareware ! Rated 5 - by File Transit ! Rated 4 - by SnapFiles.com ! Rated 5 - by Paul's Picks ! Rated 5 - by Top Shareware.com ! Rated 5 - by Shareup.com ! Rated 5 - by SofoTex.com ! Rated 5 - by Global Shareware.com ! Rated 5 - by Popular Shareware.com ! Rated 5 - by BrotherSoft.com ! Rated 5 - by Hot Shareware.com ! Rated 4 - by Yippee.net ! Rated 5 - by SoftPicks.com ! Rated 5 - by Shareware Order !